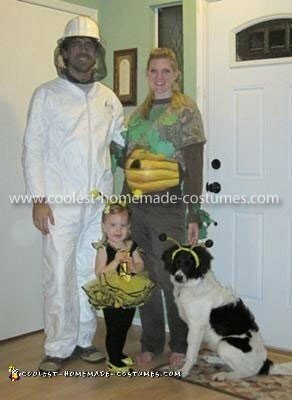 We had the most adorable bee costume for my 22-month-old but since we are a family that likes to go all out in everything that we do, we thought we should all get in on the bee action. Scarlett is in the beehive (painted on Mommy’s pregnant belly). 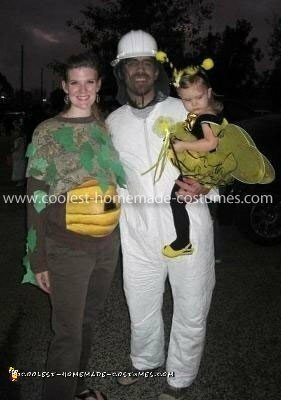 Hope you enjoy our Homemade Bee Family Group Costume !